Robert was chronically homeless in Downtown San Rafael for 30 years. He is now one of the 100+ people who have been housed through our community’s new strategy for ending chronic homelessness. Check out his story. While stories like Robert’s are proof that our new strategy to end chronic homelessness is working, challenges with homelessness remain. After five years of working in San Rafael, I’ve noticed a pattern. While many people – myself included – anticipate that the number of people who are homeless in San Rafael will increase during the summer, the community actually feels the greatest impact from homelessness during the winter. California’s percentage of emergency shelter is one of the the lowest in the country. 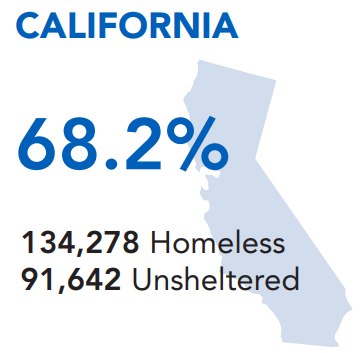 In 2017, just 32% of the people experiencing homelessness in California were sheltered. In Marin, we have historically done slightly better at 37%. While other major urban areas in the country like New York City, Washington, D.C., or Chicago might have comparable per capita rates of homelessness to the Bay Area, Los Angeles, and San Diego, the weather in these communities can get much more extreme, and as a consequence, they have much higher rates of sheltering people. After 10 years of operation, this winter will no longer see the added capacity of 60 emergency shelter beds from November to April through the Rotating Emergency Shelter Team (REST). REST was a rotating shelter program hosted by faith-based organizations throughout the county. Everyone in the community who was involved with REST deserves tremendous appreciation for their hard work over the last decade. Fortunately, the County of Marin will be offering up to 80 emergency beds during excessively cold temperatures that are accompanied by inclement weather. Iain instead advocates for something called “Housing-Focused Shelter.” Rather than shelter simply being a place of respite, from day one highly skilled case managers provide wraparound support to assist people in obtaining permanent housing placements. 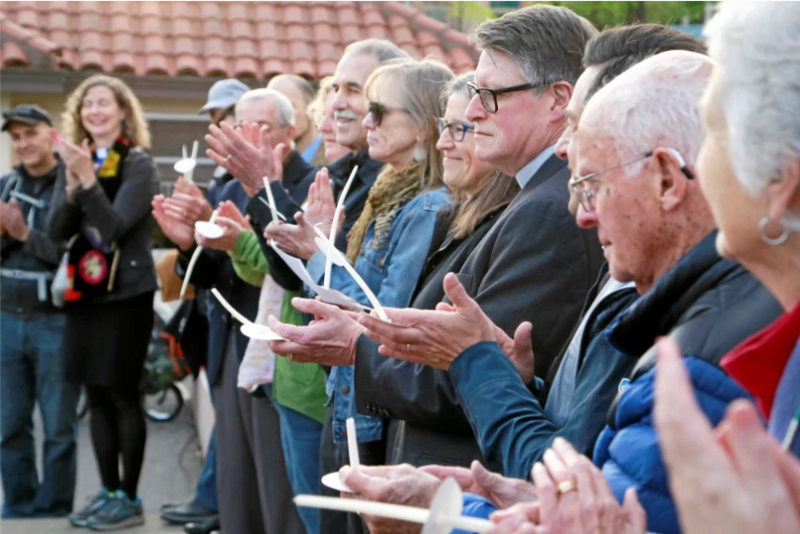 In April of 2018, in an amazing display of the collaboration that has developed over the past 3 years, leaders from Homeward Bound of Marin and the Marin Organizing Committee joined together to commemorate 10 years of REST and to announce Homeward Bound’s shift to being a Housing-Focused Shelter. The impact has been immediate. 1. 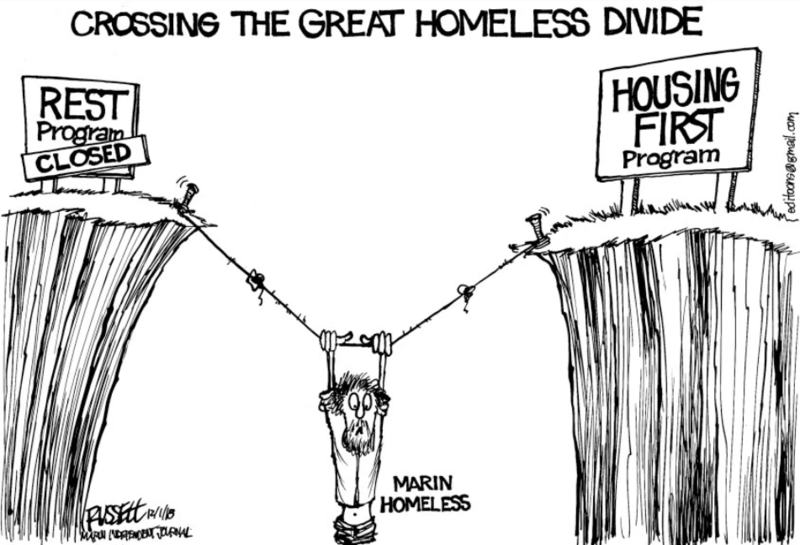 Even with REST, historically just 13% of Marin’s most vulnerable chronic homeless community was sheltered. Homeward Bound has taken a number of steps to reduce potential barriers, allowing the most vulnerable to find a place to stay. 2. For years, many people were bouncing between Homeward Bound for part of the year and then REST for part of the year. 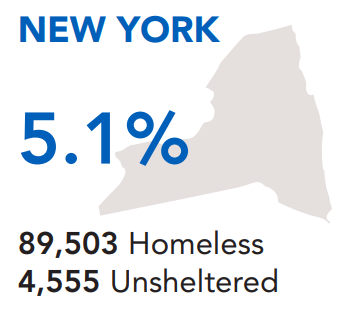 With Coordinated Entry, approximately 50% of the 100+ people who have been placed in permanent supportive housing were previously using REST. 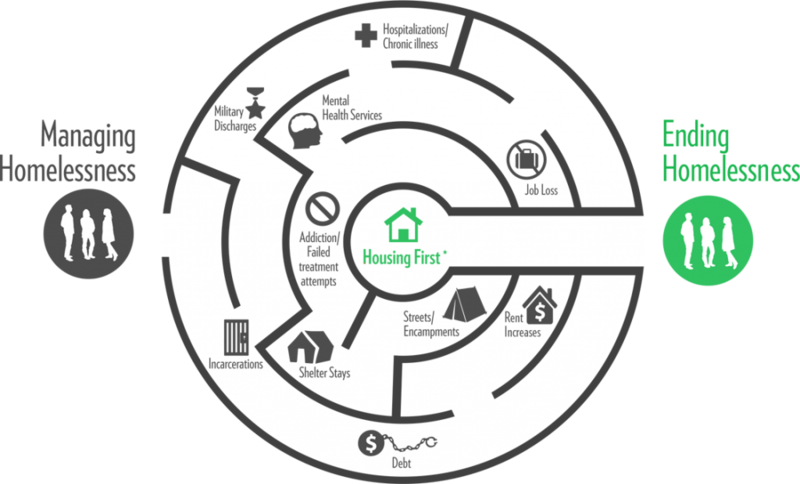 Thus, our new system is finally ending the cycle of just managing homelessness. This characterization has one glaring problem – “Housing First” isn’t the only way to get people back inside, and Homeward Bound has been housing-focused since 1974. 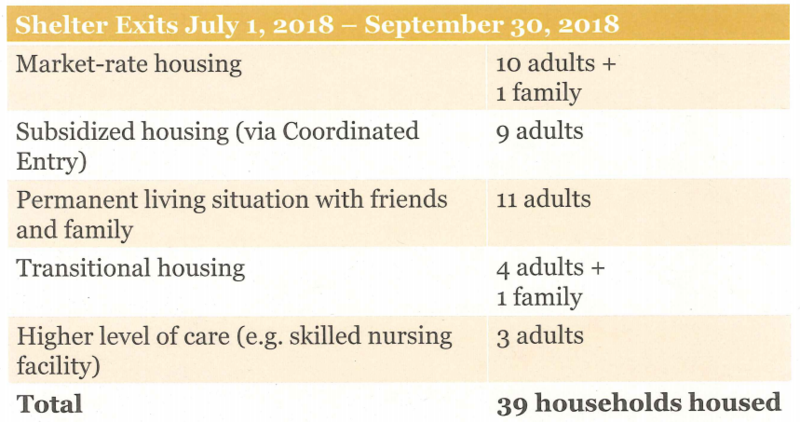 Between July 1, 2018 and September 30, 2018, only 1/3 of the people exiting shelter moved into permanent supportive housing. There has been tremendous progress through other avenues. Joy Snyder, the former REST Coordinator for First Presbyterian Church in San Anselmo was quoted in the Marin IJ saying, “Intellectually, I do understand the big picture and the goal of the ‘housing first’ program … but emotionally [it’s] hard.” She’s right, homelessness is an emotional issue. It pulls on our deepest values – compassion, equity, fairness, security. A recent 9th Circuit Court of Appeals ruling called Martin v. Boise has said that it is unconstitutional for cities to criminalize people for simply sleeping outside on public property. We cannot solely rely on federal support for rent relief and funding for permanent supportive housing. This year the White House proposed cutting $8.8 billion from Department of Housing and Urban Development.